My Daddy was clumsy...that is at NIGHT! When the lights went out, the possibility of things that go bump in the night was REAL. It was usually a result of my mom's love of fresh, new and different and Dad's inevitable forgetfulness that mom had rearranged furniture. My childhood was filled with words in the night that might not should be repeated here! Now was there a problem? Maybe... was it mom's ever need for change or my Dad's inability to remember which piece of furniture was where? For those of us that love change, there is no quicker way to make our homes feel fresh than rearranging our furniture. Give yourself a little push to think outside of the box! Is the small dresser you've had stuck in a closet the perfect size for a couch side table with ample top surface? I use my great grandparents old 2 drawer dresser in my den! I can place a great lamp, family pics in great frames and even a small stool for a lift on it for drama! Throw on with one of my leopard scarves under the pics and voila! A old piece in a new place that adds verve. Switching matchy matchy nite stands out with unique pieces, changes a room. Reversing the placement of your furniture takes some effort, but so worth it (plus the added bonus of cleaning underneath sediment pieces of furniture. WOW gives us the ultimate ideas on how to use pieces where and completely out of the box! 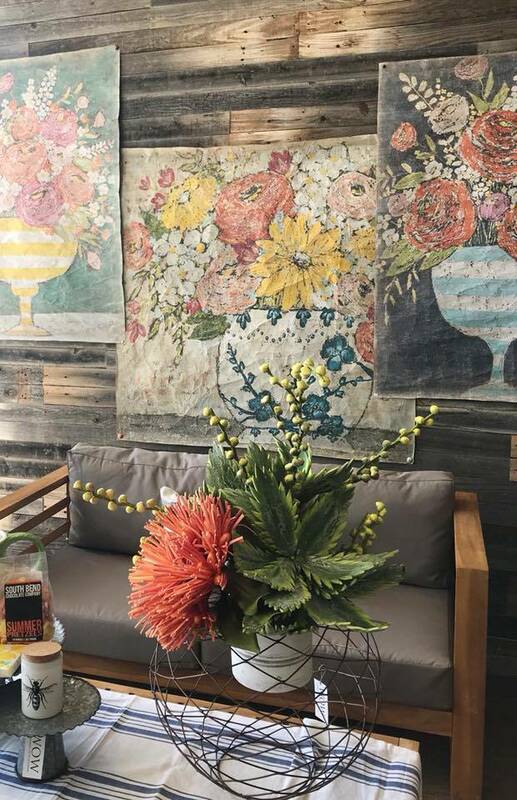 Check how Angie used these incredible pieces of outdoor furniture with nuetrals' and pops of color AND added the big pieces of art or... it's PAPER!! How easy is that? Shift your house around and send me pictures in our comments! See this great article for more help!